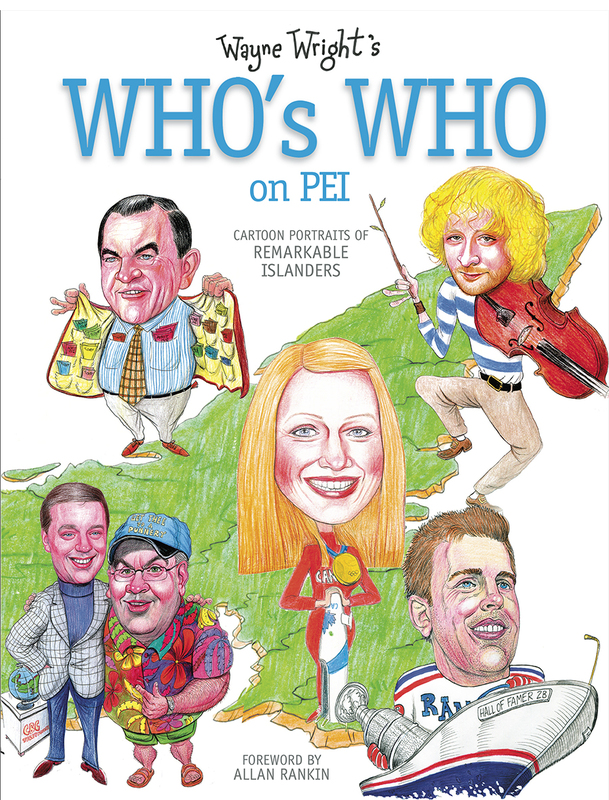 Wayne Wright figures he’s drawn the faces of ten thousand Islanders over the years. Most of them appear on the editorial page of Summerside’s Journal Pioneer — he’s been drawing that newspaper’s daily cartoons since 1979. Other faces show up on posters promoting celebrity roast fundraisers, and as portraits marking special occasions in Islanders’ lives. These Island men, women and children — including a selection of friends and neighbours who have passed through the Pearly Gates — are rendered with an impressive array of artistry and deep affection.